We have some great stables in Northumberland where you can hire a horse to take a ride in either the beautiful countryside or on the stunning golden sanded beaches. You just can’t beat that feeling of freedom you get when horse riding along the beach! Here are a selection of the best stables for horse riding in Northumberland, with contact details to call them direct for availability and prices and they will be able to answer any other queries you may have. We recommend booking with as much notice as possible. Slate Hall Riding Centre offers lessons, treks, and beach rides surrounded by Northumberland’s beautiful beaches and countryside. Their speciality is beach rides. Being able to ride along Bamburgh beach past Bamburgh Castle, Beadnell beach and also Seahouses beach with a view of the Farne islands is an unforgettable experience. Horse riding at its best along the beach on some of Northumberland’s stunning coastline. Slate Hall Riding Centre at Seahouses is open everyday and welcomes beginners, novice and experienced riders. They have a selection of horses and ponies from 16.2 to 12 hands. They strongly recommend a lesson if you are a bit rusty or haven’t ridden for a while. They also offer a combination ride which consists of a lesson followed by a ride. See more information and prices on their website: Slate Hall Riding Centre. Centrally located near Alnwick in Northumberland, Townfoot Riding School and Stables is open to all. 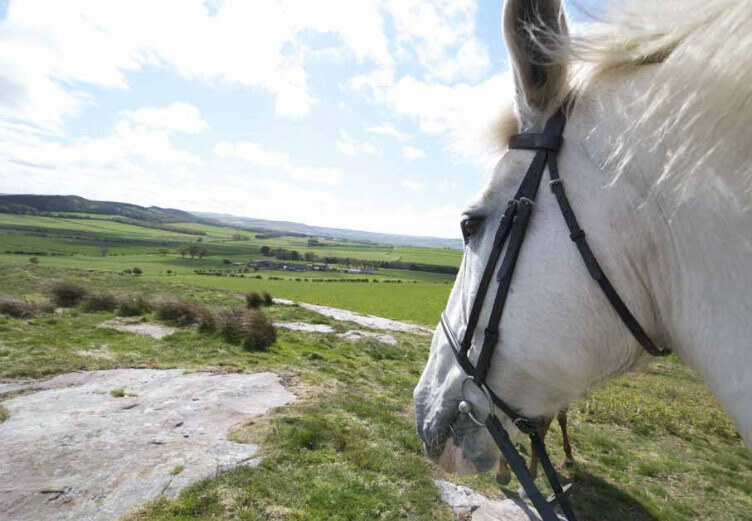 If you are visiting Northumberland on holiday, we offer a wide range of options to make horse riding an unforgettable part of your holiday, including riding lessons, pony trekking, hacking and livery, all in the most scenic surroundings close to Northumberland’s Heritage Coast. Townfoot Stables are ABRS approved riding stables located in picturesque Northumbrian countryside just two miles from Alnwick and only one mile from the A1, making them easily accessible from all directions. Being just three miles from the coast, with its wonderful sandy beaches, and on top of a hill, both you and your horse are assured of stunning views! Facilities include a large indoor riding school as well as an outdoor one, both well lit and close to the stabling and our extensive car park. The grazing is superb and, although Townfoot is predominantly an arable farm, they have wide grass tracks around most of the fields, thus providing lots of safe and enjoyable off-road hacking and pony trekking. Townfoot Stables have modern, spacious boxes, offering part livery and full livery services to clients. They have a very active riding school, with lessons available from friendly and qualified instructors who can cater for any level of ability, from the novice or beginner to the most experienced rider. Regrettably, due to insurance restrictions, they cannot accommodate children under the age of 4 years. There are lots of choices for children throughout the summer holidays, they run one-day riding courses every Wednesday and five-day courses run from Monday to Friday from 11.00 am until 4.00 pm. These courses comprise lots of action and fun activities and they can arrange ABRS qualifications for children who wish these. There is always something going on in the other school holidays too. 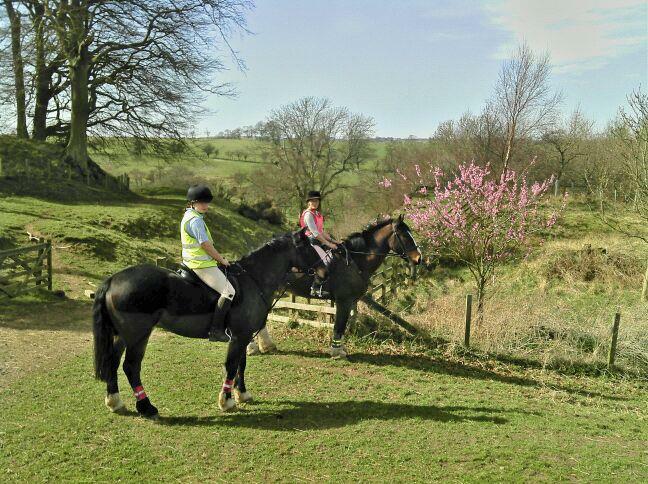 Townfoot Stables also offer 1, 2 and 2½ hour rides for experienced riders and 1 and 2 hour treks for novices. Tel: 01665 575020 (evenings 01665 575136). Download their price list (correct at time of going to press) here: Townfoot Stables Prices. Shipley Lane Equestrian Centre based in Alnwick, Northumberland has a great choice of over 20 ponies and horses to choose from so they have a horse to suite all sizes and skill levels – or you can bring your own. Lessons can be arranged with a qualified or trainee instructor, for individuals or groups (maximum of 6), or you can join one of their regular class riding lessons for novice and advanced riders. Shipley Lane is licensed by Northumberland County Council. A full range of Livery Services are available whether you want DIY, a ‘full’, ‘working’ or ‘hunting’ Livery or your horse backed and schooled, their professional team can custom make a package for you. The daily turnout at Shipley lane follows ‘best practice’ of turnout in small groups. New arrivals are integrated over a period of time into such a group of mares or geldings. The wide range of stabling options all have rubber flooring – modern barn, traditional onto open yard and internal boxes- enable individual horses to be kept according to their needs in relaxed and happy surroundings. If you’re visiting for a days hunting or a local competition or just passing through on a long distance ride, we offer overnight care and accommodation for your horse. Stables are available most of the year and if you are staying in a local holiday cottage, they can look after your horse overnight. Redesdale Equestrian are fully insured, licensed and Local Authority approved to provide riding lessons for adults and children of all ages and abilities and they offer private and semi-private escorted trekking for experienced riders. For horse-riding on holiday in Northumberland, Kimmerston Riding Centre is one of the best known horse riding centres and stables in the north east of England, near the breathtaking Cheviot Hills and the enigmatic Holy Island in beautiful Northumberland you will experience exhilarating horse riding you’ll never forget. Telephone: 01665 710 700 or email us.